FROM Monday (September 17) drivers who use a mobile phone illegally will be penalised an extra demerit point. This takes the current penalty from four to five points. During double demerit periods, drivers who break the rules will be penalised 10 demerit points. These laws are designed to encourage learner and provisional drivers and riders to concentrate on developing their vehicle control and hazard-perception skills. Mobile phone use can distract novice drivers and riders from the driving task. Learner and P1 drivers and riders penalised for illegally using a mobile phone (four demerit points) will exceed their demerit point threshold and face a three-month licence suspension. P2 drivers and riders will have three demerit points remaining if they are penalised for illegally using a mobile phone. 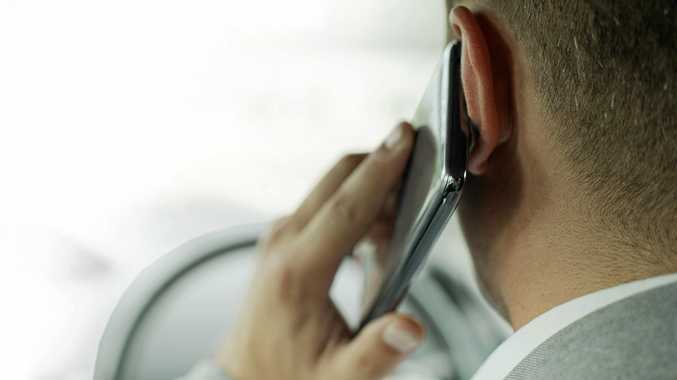 Police remind motorists that while driving or riding you can use your mobile phone to make or answer a call only if the phone is either: in a cradle fixed to the vehicle and doesn't obscure your view of the road or if it can be operated without touching any part of the phone, such as via Bluetooth or voice activation.